"What Is the Best Time to Post on Facebook"? This is one of the most important and frequently asked questions regarding social media. There have been lots of hypotheses and guess work attempting to answer this question. Many existing studies suggested a different time to post. Moreover, all those studies attempted to figure out the single best time to post that is applicable to every country on the globe. In fact, it is important to note that there is no single best time to post on social media. Debugging the best time to post is not straightforward as it might seems. There are different types of audiences in every social media network, and even on the same social media network, there are various types of industries. The characteristics of audiences from one industry significantly differs from another. Moreover, there are country-specific engaging behavior of audiences. This is why it is a difficult question to handle and hence should be evaluated with greater details. Check out the full study now to learn more or continue reading our article for a brief overview and infographic. Rather than generalizing the finding of one market (country) to every other market, our study is focused on the United States of America. 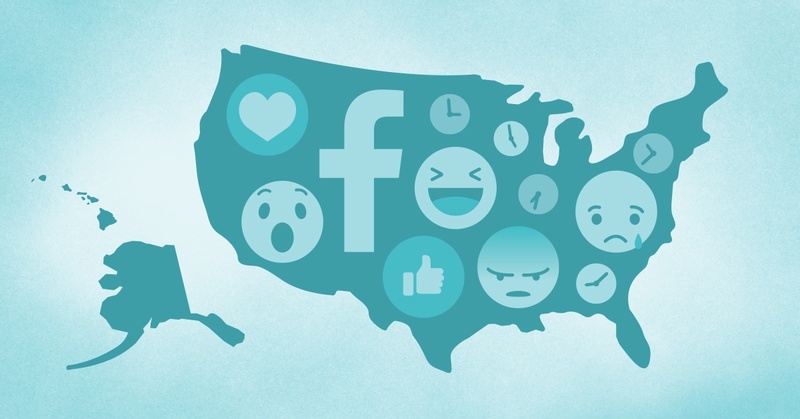 We're trying to uncover the posting patterns and find the best time to post on Facebook in USA. Moreover, we have broken analysis down in to industry level in order to reveal industry specific trends and optimal time to post for every industry. The latest updates to the Facebook algorithm also mean that the posts from business pages potentially have lower reach. Therefore, it’s a high time to figure out what works and what doesn’t for organic posts. Hence, we further explore and analyze all the best performing posts in order to find out the characteristics of such posts. The recommendations are entirely based on the findings of this study without any prior assumptions/hypothesis. Let the data speak! If you are eager to get the same data for your Instagram account or identify the best time to post for your business in particular, you can always jump on a free trial. All you need to do, request a demo here!